My training started in ernest tonight and I’m really happy with how it went. The pool was much quieter, than is has been of late, I’m suspecting the colder weather and threat of snow has put a few people off. Possibly some of the “New Years Resolution Gang” can’t face the idea of going outside , after swimming, in to the icy wind. Cold weather, in all likelihood, sorts some of the wheat from chaff, when it comes to making a long term swimming commitment. I’m making a assumptions here, of course! Anyhow, I started with a 50m warm up. I was amused to reach the end of the lane, after my first 25, to witness a couple, who had got in just after me, having a massive argument. She was resorting, to splashing him with large amounts of water, as a means of marking her ire with him. Saves throwing plates, I guess. Maybe its a damage limiting exercise, go to your local pool for an argument, instead of throwing crockery in frustration and smashing the furniture, throw some water instead! 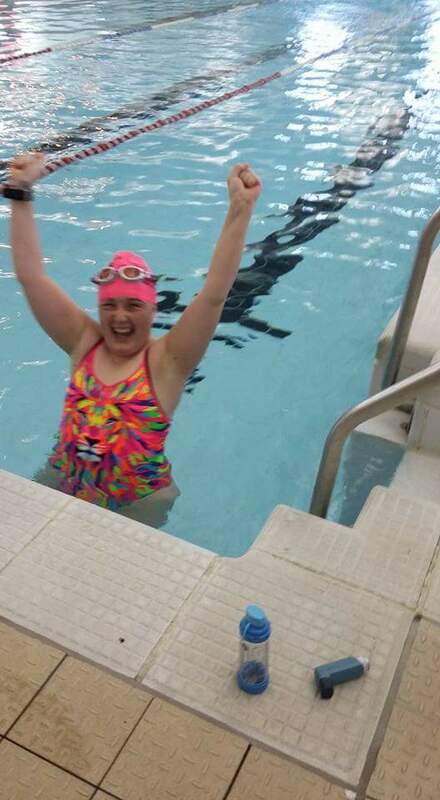 I was quite suprised, on the return journey, swimming front crawl, that my lungs felt uncomfortable. Clearly there was some inflammation/muscle tightness in my lungs as a result of my asthma. The other thing, I was working on today, along with completing a long swim, was prevent or at least reducing the painful cramp I experience in my feet and ankles. I’ve read a number of articles,which suggest dehydration is a culprit in causing this. Usually, when I swim a distance, I don’t like to stop, but this means I can be swimming up to two hours, with out fluids. If the gym, you know how much fluid your loosing, in the pool you have no idea. Therefore, I built regular, fluid breaks into my swim. This also allowed me to have two puffs my salbutamol inhaler, each time I stopped. Every 15 or minutes, I would stop, have a few sips of water, 200mcg of salbutamol and off I’d go again. Intrestingly, cramp was much less of a problem, today. It also proved to be a good way, of breaking down a long swim. Next time, I will try half an hour and see how I feel, before deciding when to fit in my fluid breaks. The pool, did get busier as time went along, from 7pm-8pm, it was ladies only. There was only myself and one of two other’s seemed too be undertaking serious swimming. It clearly highlights to me, just how many adult’s, seem never to have, had the opportunity. I also noticed, that quite a large majority where excercising mainly, their mouth. It’s good, that the pool provides a social space, bit how many will return home, thinking that they have completed a decent amount of swimming, when in reality have achieved little in the way of aerobic exercise, one of the greatest benefits swimming can, if done properly provide. As I swam, I became aware of the fact I was experiencing a significant amount of.pain in my right wrist and shoulder. Clearly my arthritis was accompanying me, in the pool! Fortunately, it didn’t get to the “unbearable point” and I was able to carry on. On Monday, I had been forced to abandon my swim, thanks to, two ladies swimming side by side, chatting. This time, I decided I needed to be brutal. If someone was in my way, rather than getting frustrated and give up, I knew I had to find a way of keeping going. Most of the time I was able to swim round them, even it meant swimming a slightly greater distance, but a couple of times I was forced to swim through them. On one particular occasion, half way up the lane, four ladies were swimming a slow breaststroke, side by side, chatting. A shoal of women! Not wanting to sound like an exert from “We’re going on a Bear Hunt”, but I knew that I could get round them, nor could I swim under them. I couldn’t stay behind them, as their pace was far too slow. I just had to go through them, and I did. Head down, arms outstretched, I put myself into the gliding position, literally barged my way through the middle. It wasn’t the most decorious way, to deal with it or, if the truth be told, polite. But it was, the only way to continue. Coming back in the opposite direction, I saw them again, in their little pack, coming towards me, so did they and they scattered, swimming off, in different directions, before again reforming their ranks, re-comencing their conversation! I would like to take the opportunity here, to apologise. I probably come across as opinionated and bitchy. I don’t intend to, it’s just sometimes, it gets frustrating. It’s impossible to run sessions for social swimmers and serious swimmers, it just wouldn’t be practical, but sometimes I wish I could, get in the pool and “just swim” without having to be considering how to circumnavigate round other people. I also had a couple of folk crash into me, easy done and their apologies are accepted. If you’re swimming with your head up, you can see me in advance. For most of my swims, I’m looking, mainly at the pool floor, I don’t have a periscope on my goggles, unfortunately. Nor am I able, to take my eye out, lift it up and look round, like Mr Potato Head in Toy Story! Despite all of this, I had a great, first training swim. Along with the 50m at the he beginning, I swam a further 2300m in one hour and thirty minutes. My previous best for 2500m was one hour 51 minutes, so this shows to me, a marked improvement in speed. The last 500 metres, was exhausting. I felt like I had nothing left, in the tank, despite raiding my work’s Christmas sweetie tin, earlier in the afternoon! 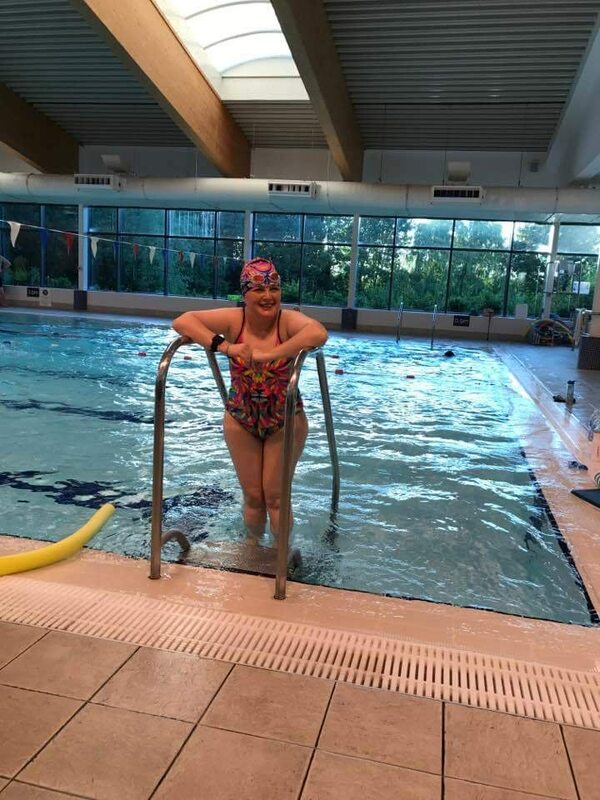 It felt like, every single stroke, was a hard work and I knew I was depleting already depleted resources, but I had decided to swim till 7.50pm and I was determined to do this. And I did. I climbed, gratefully out of the pool, really happy with my swim, but desperate for a rest. 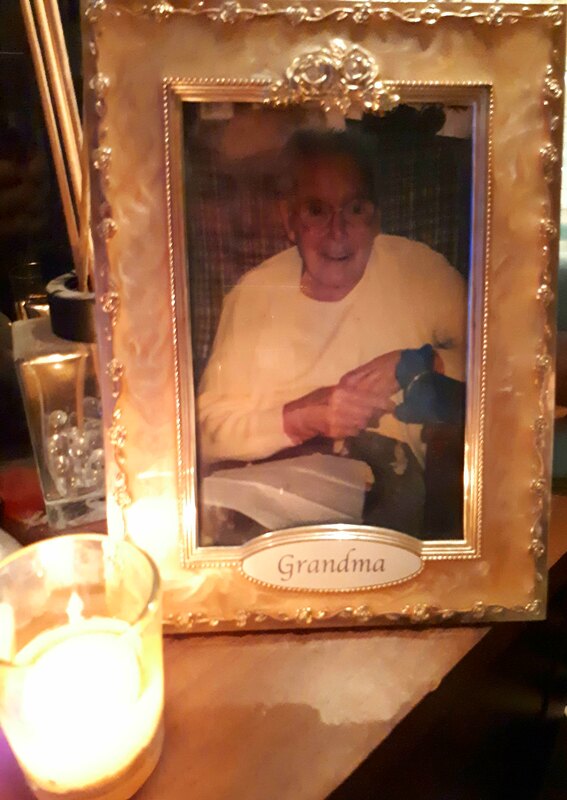 I ached and my left hand was tingling, telling me that I had irritated the nerve damage, in my upper spine. To help me recover a little, I parked myself up in the steam room. It was great, not to have to share it it big, burly blokes, dressed only in their speedo budgie smugglers. Where else would it be perfectly normal and acceptable, to sit in a room with a group of blokes, clad only in, in essence, their pants? It was nice too, to be able to relax, without being surrounded by blokes vying for supremacy, with each other, in someway. Five minutes later, I emerged from this steam fIlled enclosure, feeling revived. I spotted a thing of beauty. A empty pool, it’s surface, like a millpond. It was opportunity too good to miss. With four minutes to closing time, I got back in. I still felt, utterly exhausted, but to be able to swim in an empty pool was too good an opportunity. It had to be taken. I swam a further three lengths, 50m butterfly, reaching the end of the pool the lifeguard shouted “we’re closed love, time to get out”. Please, one more back to the bottom? I set off, to find all eyes on me, as I flayed my way to the end. Yes the pool was closed to the public, but the local swimming club had just arrived for training and these were the elite swimmers. Goodness what they all thought, as they saw me splashing my way down the pool. I might judge other other people’s swimming style. Anyway I will end with a summary of the main swim, today. , they must have had similar thoughts about me! Over the last few months, I’ve filled this blog, with generally waffle posts. 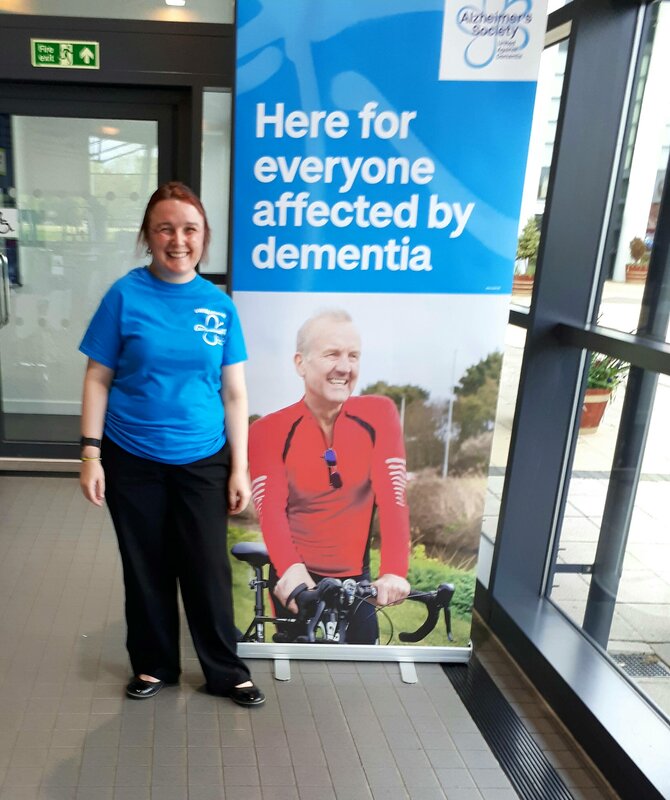 This year I am going to undertake Marie Curie Swimathon, the 30th one, and a swimming challenge to raise funds for Arthritis Care, Gateshead Branch. My aim is, and I think I’ve mentioned this previously, is to swim “a marathon in a month, with a marathon in a week”. I know this sounds a little confusing, but I will explain. A marathon, when ran, is 26.195 miles or just under, 42200m. A swimming marathon, is 10km. 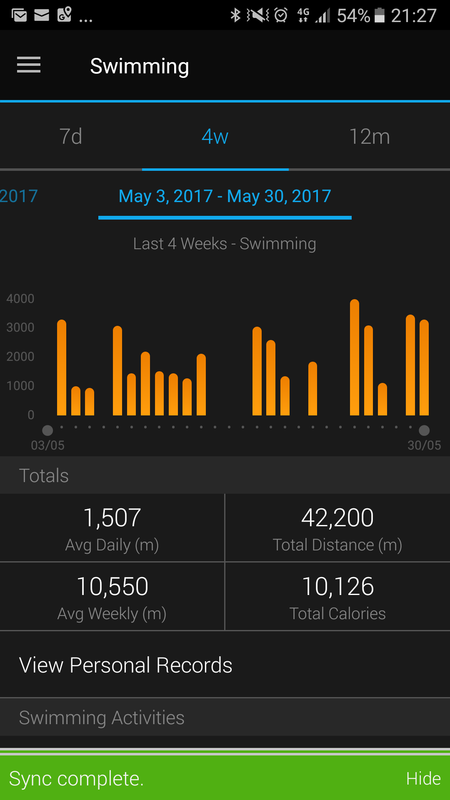 So my plan is to swim 42200m in a month (1688 lengths of a 25 pool), with at least 10km (400 lengths) being swam in the final week. Arthritis Care week. Obviously, I can’t just dive in there and swim it. It will take 2-3 months before hand of training, building up my distances and further increasing my fitness. Training, of any kind, is a bit tougher right now, because the pools are busier and some people seem unfamiliar with the “rules of the pool”. Last Saturday, I was swimming on the pools “training lanes” only to have someone swim into me, head first, as they were swmiming on the wrong side of the lane. 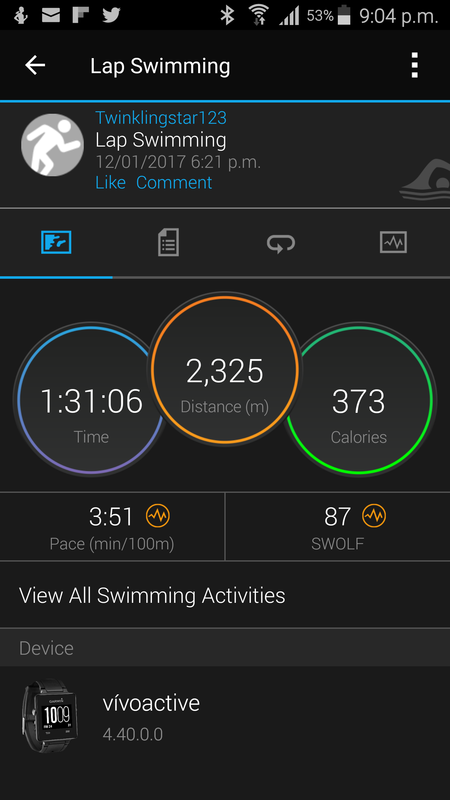 On Monday, I was forced to abandon my plan to swim 2km, after I was joined by two social swimmers, who swam a slow “breast stroke” side by side, while chatting, making it impossible to swim at any pace but theirs. Overtaking resulted in being kicked, as the had a wide legged, scissor kick, in opposed to a frog type kick, resulting in flailing legs! The life guards are supposed to intervene in situations like this, but failed to and speaking to their manager didn’t help either. Anyway, my focus over the next fews will be on my training and preparation for this challenge and this blog, I hope, will help chart some of this.